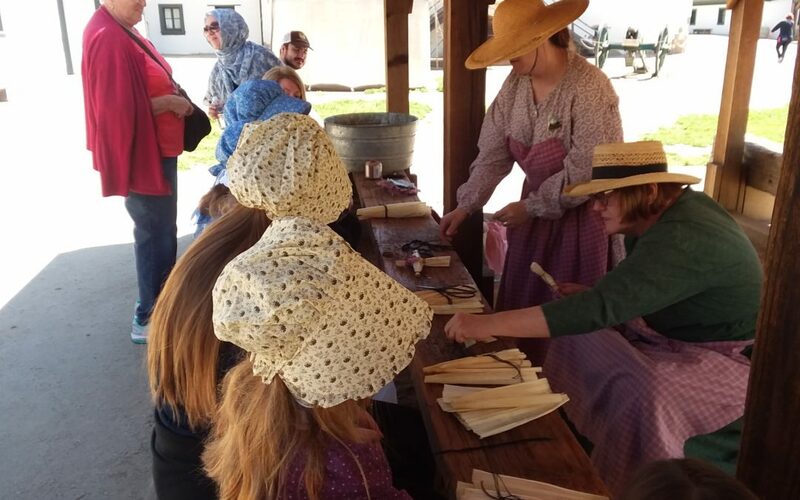 Sutter’s Fort State Historic Park is a premier destination for educational experiences in California and serves over 50,000 students annually. Sutter’s Fort or Bust: This interactive field trip option ran Mondays, Wednesdays, and Fridays, serving elementary school students grade 3 through 7. Trappers’ Camp Mobile Learning Program: Served over 2,000 students throughout the first 2 weeks of October in Red Bluff and Colusa. Joint Field Trip Program with B Street Theatre: This program kicked off on October 17, with school groups watching a performance of Treasure Island at the new Sofia Tsakopolous Center for the Arts, Home of B Street, before they walked one block to Sutter’s Fort to participate in an interactive 1-hour program where they learned about the role sailors played at Sutter’s Fort. Environmental Living Program: This popular 24-hour immersive educational program kicked off on October 30. Spots are still available for the 2019 season! Contact Jared Jones, ELP/ESP Coordinator for Sutter’s Fort SHP, to find out more. Friends of Sutter’s Fort is the proud sponsor of these educational programs. If you are interested in learning how to volunteer, or if you would like to donate to help support this program, please contact linsey@suttersfort.org.